The best CLIL in Madrid. CRIF Las Acacias. November 2012. WebQuests are a wonderful way of capturing students' imaginations and allowing them to explore in a guided, meaningful manner. WebQuests are designed to use the students' time well, to focus on using information rather than looking for it. 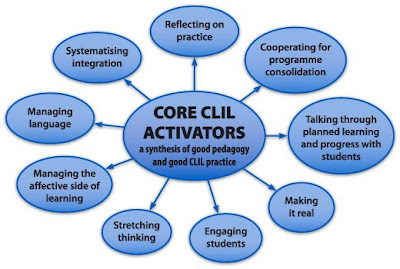 'Core CLIL Activators' represent a synthesis of key elements of good pedagogy and good CLIL practice. 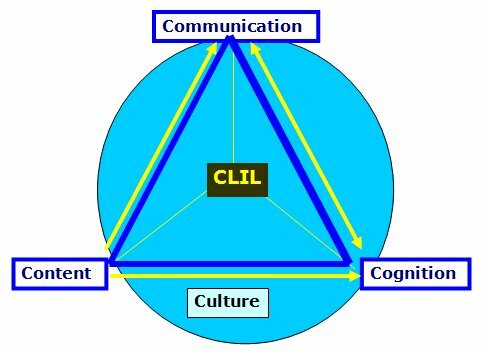 This Matrix is a 4 dimensional core framework built around the core elements of CLIL: Content, Language, Integration and Learning. These four elements are realised through a set of four parameters: Culture, Communication, Cognition and Community. This results in a matrix array of 16 indicators. These indicators are the basis for ensuring quality CLIL in learning and teaching of both content and language. A ppt giving instructions on how to access the UDP education programme as a guest user. A handout which contains 7-8 questions for teachers to look at and find the answers for during the first half of the session. 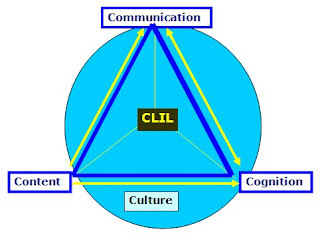 I´ve also found this Cambridge PDF with useful information about CLIL, it´s a glossary but full of explained information... Here you can find the names of a lot of charts that we used... In our work group, we were talking about this very charts on Thursday... Go ahead!! 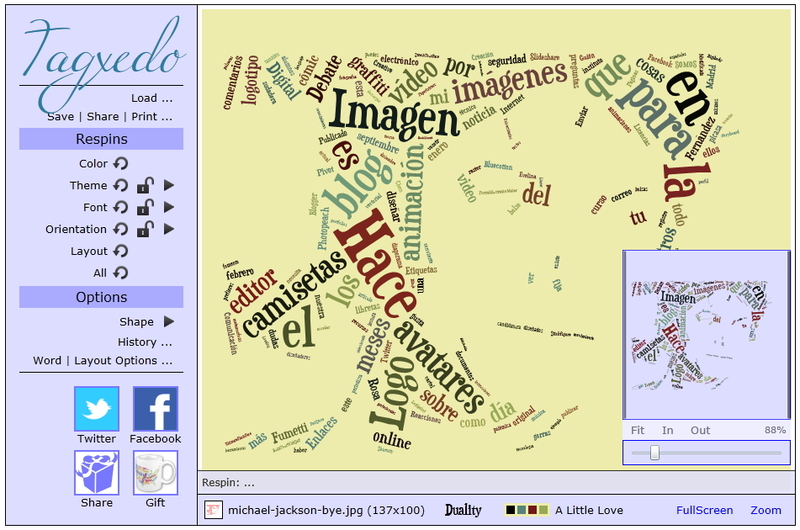 Josie talked about Wordle. 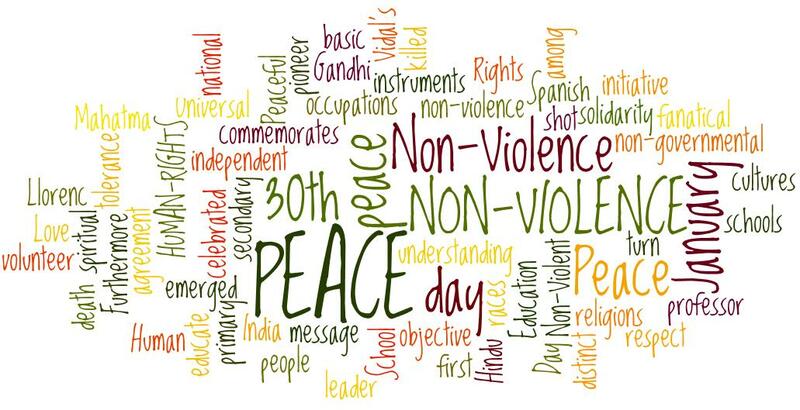 Just a few words and you can get your own "word-poster". 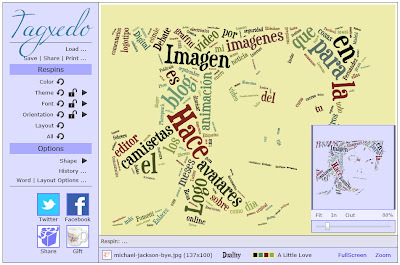 Tagxedo. A lot of options but... it´s very easy. You can upload your own picture and get something like ... Do you recognize him? 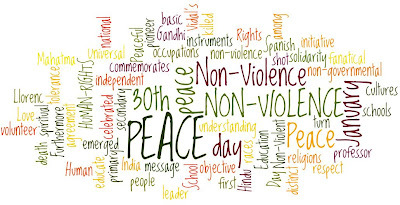 Essential Secondary CLIL. Going bilingual.